Lin-Manuel Miranda's Broadway smash Hamilton has nabbed a record-breaking 16 Tony Award nominations, 11 Broadway.com Audience Choice Awards and even a Pulitzer Prize for its mastermind and title star. 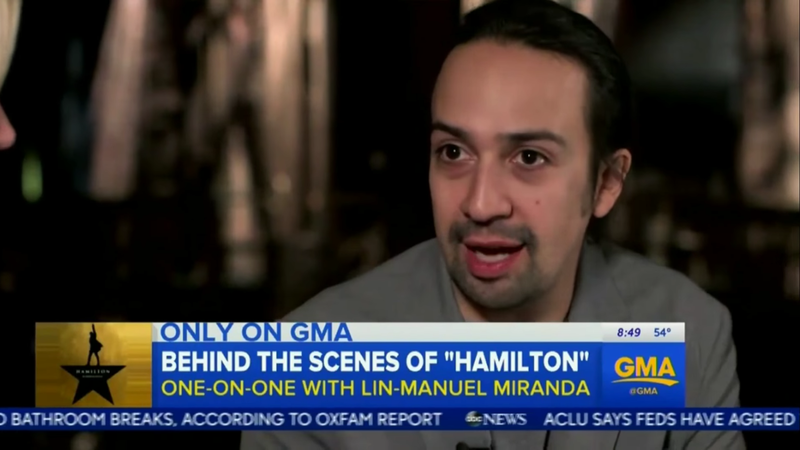 Hamilton's headmaster recently sat down on Good Morning America to discuss his dedication to bringing in nearly 20,000 high school students to see the show for #EduHam. "Hamilton is the jumping off point for [students] to engage with history on a deeper level," he said. The young, scrappy and hungry Miranda also said he hopes to bring the historical hit to the big screen—but not for a while. "I worked seven years to make this thing a piece of theater," he said. "I'm in no rush." Watch the full interview below!